This trendy 4×4 sales superstar is, once again, designed to give you access to heaps of real-world off-road capability in a daily-driveable package. That has got room for you and your family and your things (or, in my case, even a nearly 80-inch long Ikea countertop). Provided you spring for the four-door Unlimited variant with its stretch wheelbase and expanded cargo hold. 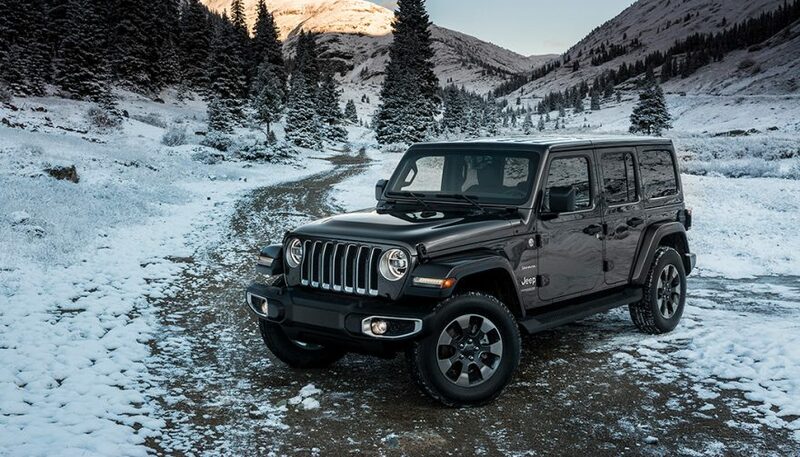 For its latest version, the so-called JL-generation 2019 Jeep Wrangler advances on all fronts. It cleans up its road manners a measure, but maintains core Wrangler attributes in full. Sure: Wrangler isn’t for everyone. Being as capable as the Wrangler is off road means that it is built like a truck. Not a car. This means it’s tough and durable. But also, that many a soft-roader crossover is more comfortable, better handling, roomier, and (often considerably) easier on fuel. It’s not a quiet ride, either. At highway speeds and beyond, noise levels become very generous. Largely because of the aerodynamics. The Wrangler is about as aerodynamic as a woodshed, and the roof on my tester was made of removable plastic paneling. Result? It can sound like you’re driving down the highway in a great big camping cooler. None of this keeps shoppers out of the Wrangler, though. 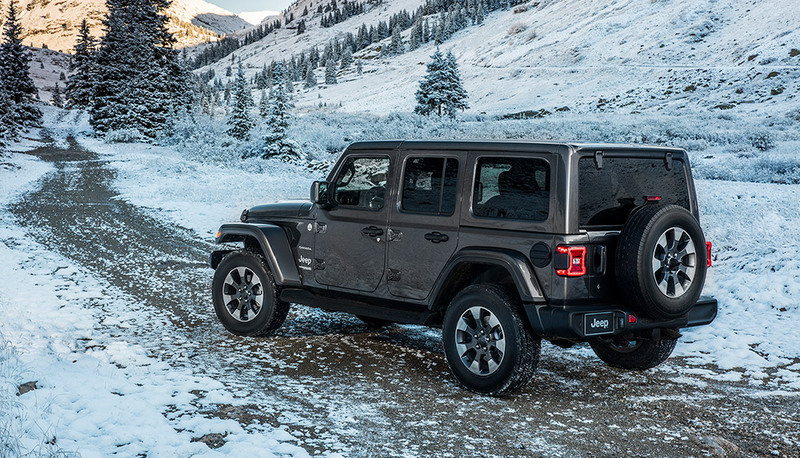 Many a shopper waves off the compromises, finding value in the unique looks, ready-for-literally-anything capability, all-weather confidence, and the sense of community that comes included with Wrangler ownership. There’s also the way it handles nasty, real-life roads. Especially, the ones in bad shape. 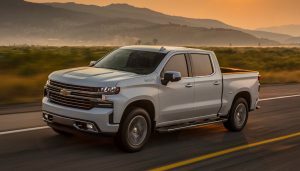 Here, even on surfaces that make many cars and crossovers feel flimsy, delicate, or likely to disintegrate beneath you like gas-station toilet paper, it often feels like the potholes are getting the lousy end of the deal. 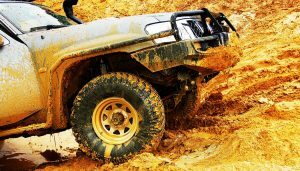 Wrangler feels consistently tough, never seems to be about to cough up a strut, and mostly just rides like it was built to tackle really rough surfaces. Mainly because it was. In many parts of North America, having something like this that can tackle trails, and winter, and crumbling roads just makes a lot of sense. Plus, Wrangler is (sort of) a nearly 300-horsepower convertible with AWD (4×4 technically, yes), which means that fun weekend family adventure ride you’ve been dreaming of comes built right in. I have friends who literally can’t decide between a Jeep Wrangler and a Ford Mustang Convertible as a fun second family car. And I don’t know a lot of people who drive Mustang Convertibles in February, but I do know a lot of people who could use four-wheel drive to get to the ice-fishing hole or ski slopes. Just prepare to open your wallet: the Jeep Wrangler’s MSRP reflects, in full, its immense popularity and its recent updates and upgrades. My loaded-up tester clocked in at the better part of $60,000 Canadian loons, and it’s not even the top-dog model. That’s a boatload of money, and they still can’t build these things fast enough. 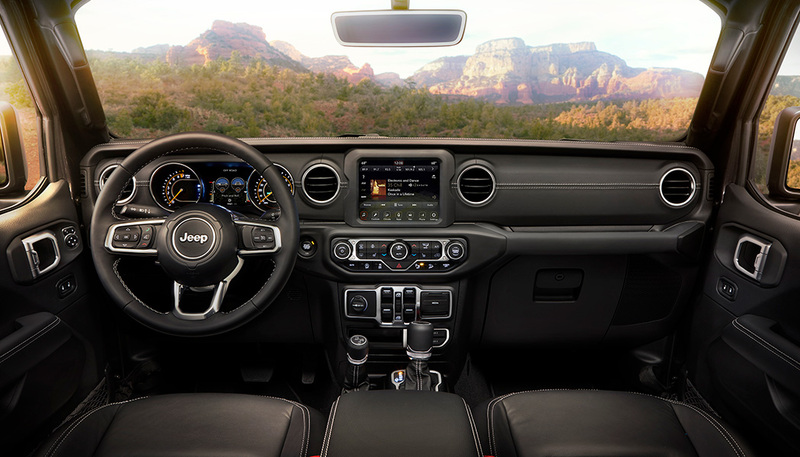 The improved drive does help make the investment more digestible, since the latest Wrangler now rides better, steers better, looks better, has a much nicer interior than the outgoing machine, and comes with some effective new features and technologies. Steering feels more calibrated and dialed in, and less like a suggestion box. You’re doing less work on the highway to keep it centered between the lines, the ratio and effort feel better matched to the Wrangler’s suspension setup. The ride is still pure Jeep: tough, durable, stiff, jiggly and truck-like. But now, there’s a little more softness dialed in around the edges. Some newfound honing of the suspension, and additional fine-tuning apparent throughout. Result? That signature Jeep Wrangler ride, but delivered with more comfort and fewer jolts, more of the time. The new cabin is a knockout for several reasons. First, there’s no other cabin that looks like this. The designers packed it with little design Easter Eggs, plenty of detailing and depth and sculpting, and good materials, too. It all comes off feeling plenty more rich and upscale than the former model. You’ll be satisfied with just about everything you look at or touch in here, as it should be for the money. Don’t miss the auxiliary switch panel for your winch and light bar, or the slick and easygoing central touch-screen interface. This is powerful, very responsive, has great graphics, and is no harder to set up or figure out than a pillowcase. And even the instrument cluster is beautiful—with analogue dials set against a striking digital display. There’s a firey-hot heated steering wheel and heated seats, and all controls are all easily worked, even with gloves on. Finishing the package, designers even specified modern control buttons and dials that all operate with a smooth and light and satisfying action. Right down to the gear shifter. Beside that big gearshift is the 4×4 lever. Tug to toggle 2-wheel drive, 4-wheel drive auto (which is goof-proof and works like AWD), and then four-high or four-low. Whatever amount of traction you need is available with a yank or shove on the lever closest your right knee. And how cool is it having two nicely-finished shift levers sitting in front of you? Very cool indeed. If you’re coming into this latest Wrangler from a few-year-old unit, you’ll feel right at home with the space, entry and exit, and driving position. You climb up to board, sit very upright, get a commanding forward view, and there’s room for two adults up front, and their things. No problem. Lots of storage nearby, room for my camera and a lens in the console. Plus a perfect little slot in the dash for parking cards, a small wallet, or a flip-phone. Rear seats are fine for average-sized adults and easy-peasy for the kids. The roof bar seems to sit further away from my cranium than in past models. Making it feel that touch roomier. The cargo hold is tall and square, though reduced somewhat by the subwoofer, wheel wells and the lower bits of that roof bar. There’s plenty of room, but its most easily maximized when you pack your things up vertically. Power comes from a 3.6-liter, 285-horsepower V6. My tester got an 8-speed automatic, and a six-speed stick is available if you like. A new two-liter turbocharged four-cylinder engine is also on the options list. 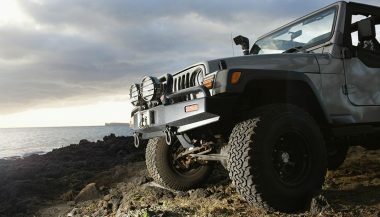 With the big V6, you get more than adequate performance and improved fuel efficiency from Wrangler’s former V6 engine. Though this thing still loves itself some gas if you’re a little heavy in the foot. The engine is most impressive when driven gently. The revs and noise and vibration all stay to bare minimum levels. And there’s more than enough jam at all times. Without breaking a sweat. I don’t advise you drive this thing too quickly, but the Jeep Wrangler does fire along with startling thrust when opened up for a quick pass. After a week, I had two favorite things. The first was the ride quality, and specifically, because it’s consistent. There’s no rattling, no smashing, and things feel consistently smooth, firm and dense from one road or trail to the next. Weirdly, my very favorite thing about the new Wrangler was my tester’s optional LED headlights. Their performance and output rivals a big-dollar luxury SUV any day of the week. The color is bang on, and the peripheral lighting cast into tree lines and culverts beside the road is among the best I’ve ever seen. So, it’s not a machine for every shopper or budget. But if you’re handing a sizable sum over to Jeep on one of these, and especially one with a few optional goodies, it’s always nice to feel like you’re getting your money’s worth. This is everything you might have come to love about Wrangler. With many improvements, and no compromise. If this will be your first Wrangler, be sure you’ll benefit from the capability though. Because you will be paying for it. Maybe wait though. Especially if you like the sound of all of this, but figure you could really do with a pickup truck. Wrangler’s popularity first prompted the introduction of the four-door Jeep Wrangler ‘Unlimited’ model a few years back. Today, its just prompted another: the Gladiator. 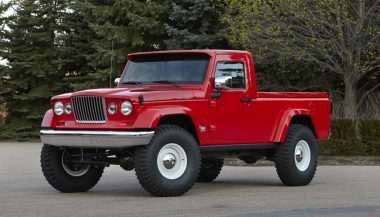 For model year 2020, this new Jeep pickup will come online. Replacing the cargo hold with a pickup box and giving shoppers, basically, a Jeep Wrangler pickup truck. One with more towing and payload capability than anything else in the class on top of the sweet, sweet Jeep looks.